Looks like an ordinary muffin doesn't it? Wrong! On the inside you're greeted by a oozing centre of strawberry jam mmm! The muffin top was the best part though. The blueberry and the white chunks were really tasty. What were those white chunks though? Oatmeal I would presume. It was so early in the morning I couldn't tell. The dough itself was very springy and soft, and wasn't too sweet. 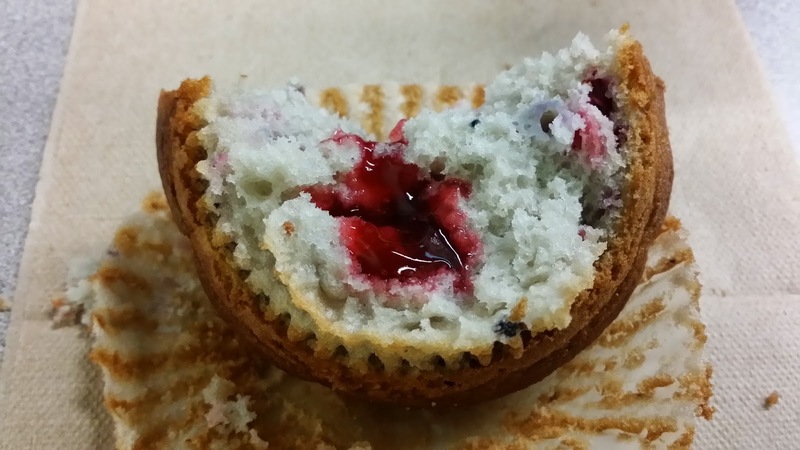 The sweetest part of the muffin was the strawberry jam. The chunks added a nice texture to entire muffin. The blueberry flavour was very potent, which I really liked. 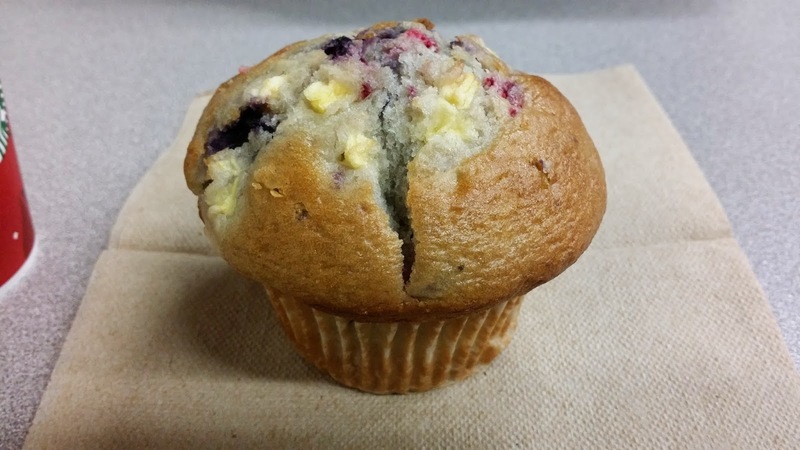 All in all, one delicious muffin, and a great way to start the day! This looks and sounds really good, but in reality, it was very mediocre, to say the least. It was annoyingly sweet and the chocolate just tasted very artificial. The dough itself wasn't soft, it actually tasted like it had been sitting there too long. I don't think I would eat this again. 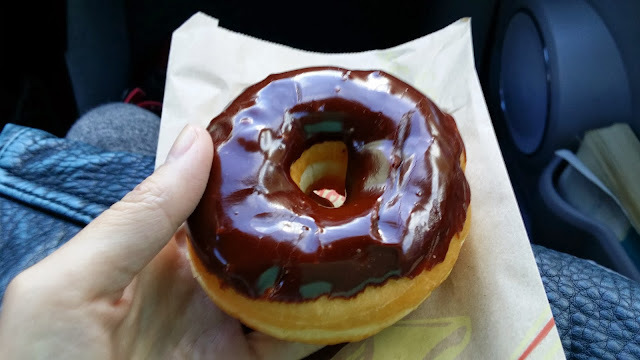 On a previous occasion I also had a Chocolate Custard Donut which was average as well. The custard was too bland, and the dough again, tasted stale. The verdict: Skip the donuts and stick to their muffins! Oh, did I mention that if you go in the morning there's no tax? Yay!